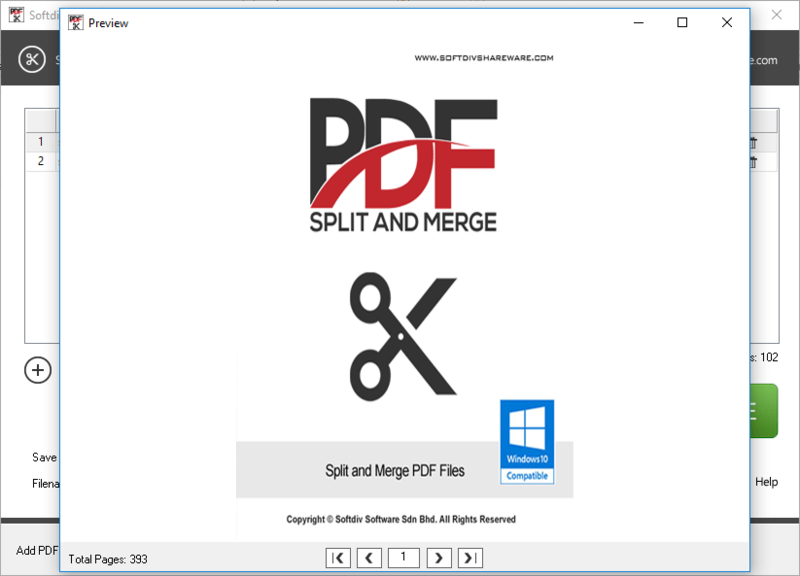 " Softdiv PDF Split and Merge is a program dedicated to splitting and merging PDF documents. It comes with handy set of features that can be easily used by anyone. Processing speed is fast and output quality of the PDF is well preserved at a good level. " 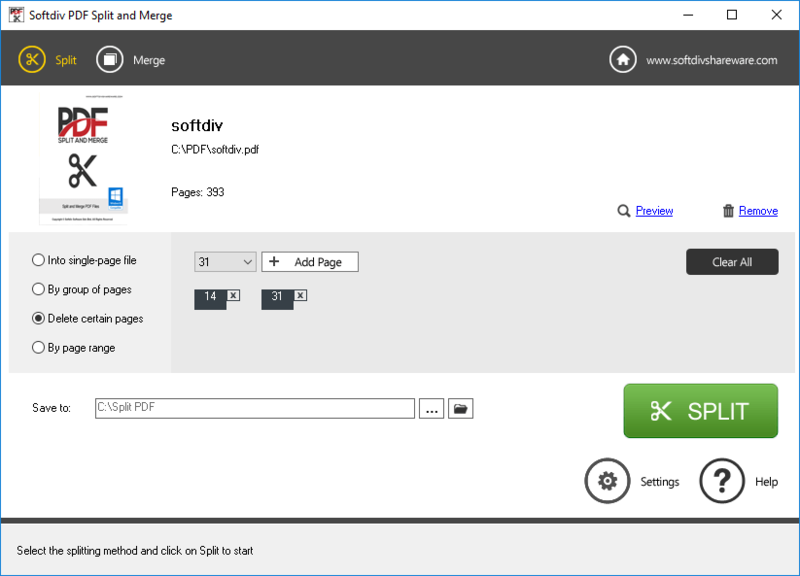 Split and break a large PDF file into multiple smaller parts. 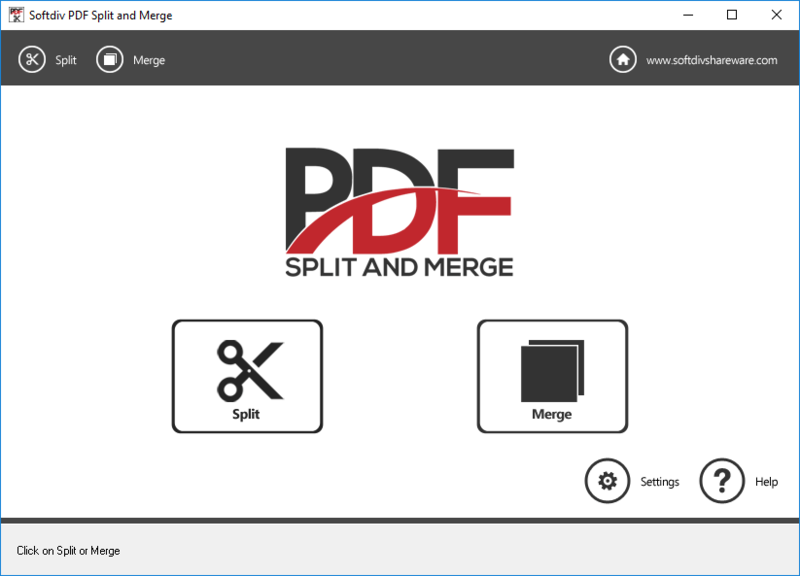 Supports multiple types of splitting modes (Split into single-page PDF file, Delete unwanted pages, Delete unwanted page ranges and Split by group of pages) to accomplish different types of splitting goals. 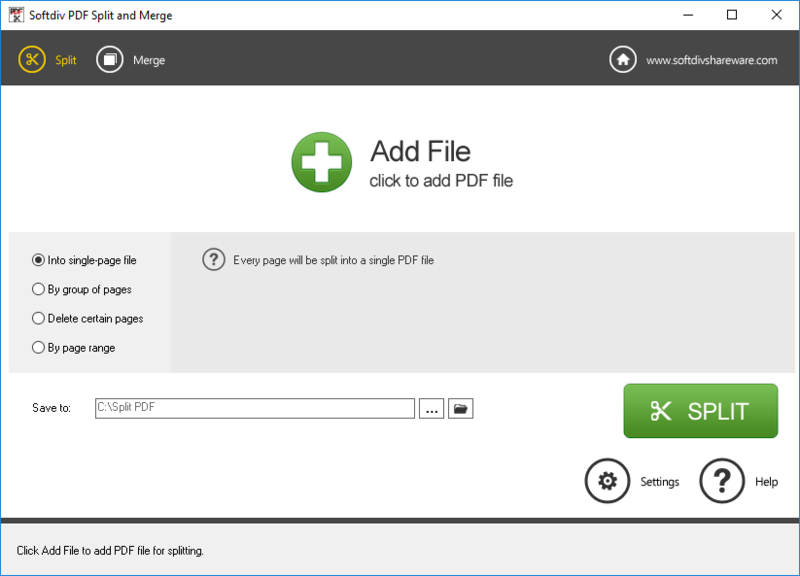 Merge unlimited number PDF documents as a single PDF file in batch mode. One can specify to merge all pages or just a selected page range. Capable of processing password-protected PDF documents and also set password protection to the Split / Merged PDF files. 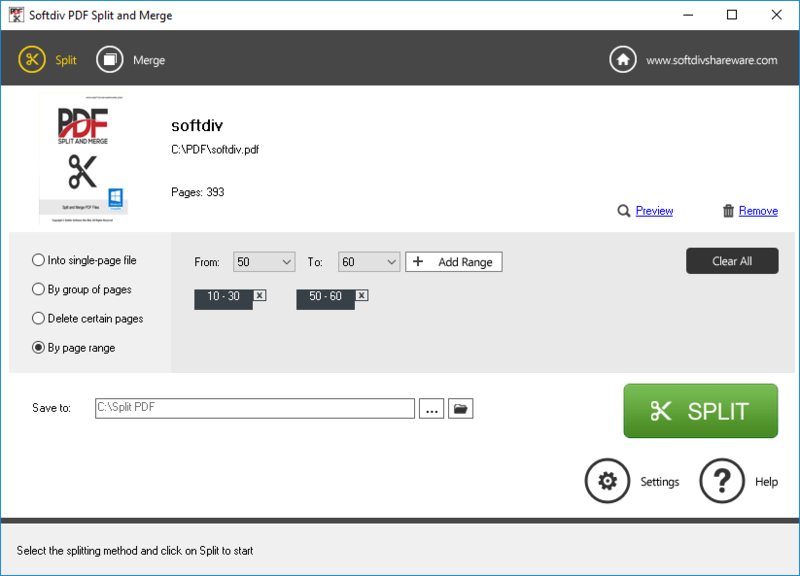 Options for settings the title, author, creator, and subject values for the Split or Merged PDF files.